Situated 25 metres from the banks of the Tongariro river, opposite the famous Major Jones pool. Easy access to the famous trout fishing river and all walking tracks. Quiet back section surrounded by Kowhai trees and bird life. House has open fire and coal range with wood supplied. Only 40 minutes to the Whakapapa skifield and an excellent starting point to access the Tongariro crossing walk. 5 minute drive to Tokaanu hot pools. Extra fridge, safe and cleaning equipment provided for the cleaning and storage of fish. This place suits serious fishermen or family groups. House would suits family or serious fishermen. All living area is upstairs accessed by two sets of outside stairs so may not be suitable for toddlers. Section is well fenced towards the river. We loved the peace and quiet of the property, and the proximity to the river for fishing. The house was well equipped with a lovely kiwi Bach feel. Hope to visit again. 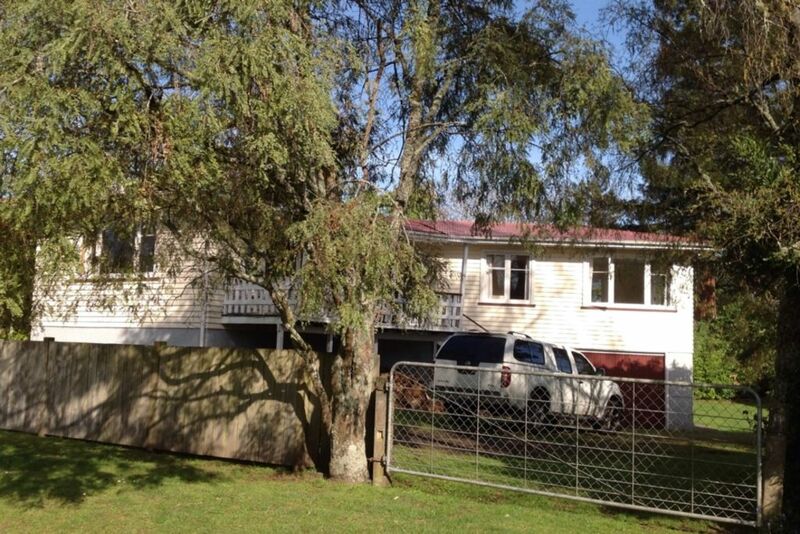 Located right by the Turangi river walk, this is a lovely family bach with a homely feel. It was clean and warm when we arrived. Comfy beds. Will stay again. Mackey family, Loved our stay. Amazing location and we'll kept Bach. Great location, neat and tidy- would certainly stay again. We went there as a family, some went on the Tongariro crossing, one took care of three children and we loved it. Its an open concept spacious house, clean and lots of room to play for the kids, nice garden and right next to the riverside reserve, which was great fun for all of us. If we get back to the area, we would book it again.